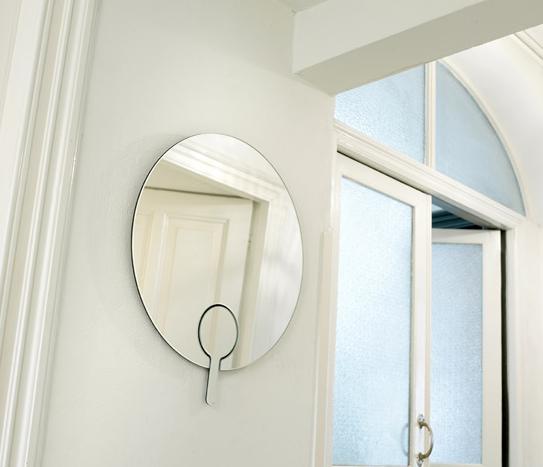 Jan Habraken circular wall mirror comes equipped with a matching hand mirror. The magnetic backing ensures that the hand mirror fits snugly into place. So simple, yet so practical.